As citizens who wish to live in a fairer society, many of us are hard at work getting the message out into the public domain. Over the last few months we have traveled across Scotland and Europe discussing the importance of what a nation in control of its powers can achieve. Just look at what we have accomplished so far as a devolved nation – an excellent NHS, free higher education, assistance with care of our elderly, free prescriptions to name but a few. Last night Tasmina Sheikh, Angela Constance and Manmohan Tagore spoke passionately and eloquently on why it is only through independence we can move forward as a progressive nation to tap into all our potential, where our citizens are our most prized assets. Angela went on to talk about investment led recovery where we invest in our most vulnerable members of society to support and help us move forward, instead of punishing them with further cuts. Scotland offers support whereas Westminister responds with penalising the already most marginalised in our society. 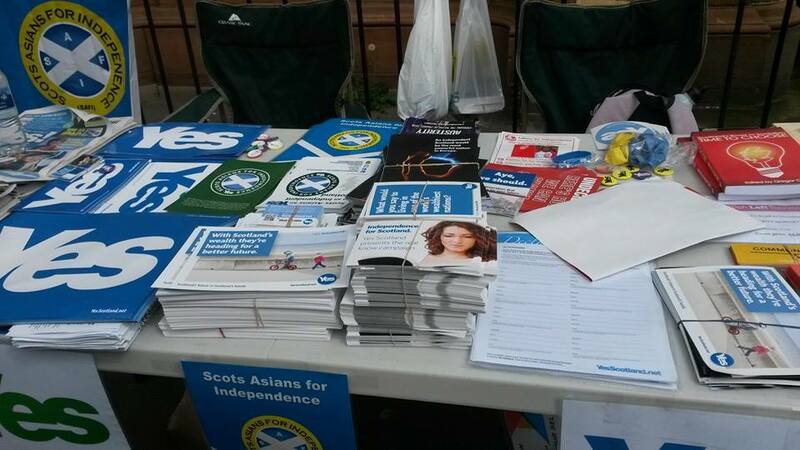 Today was a great day out canvassing with other supporters of an independent Scotland. 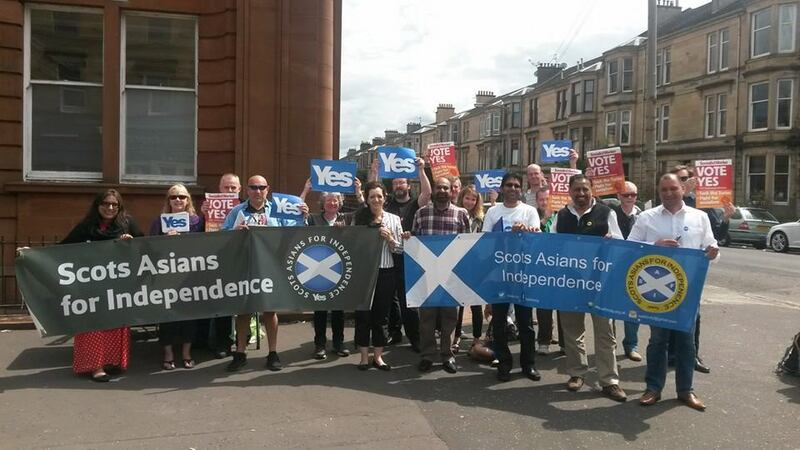 It was heartwarming seeing so many folk coming out to talk to us and also the number of Yes posters on windows all over East Pollokshields. 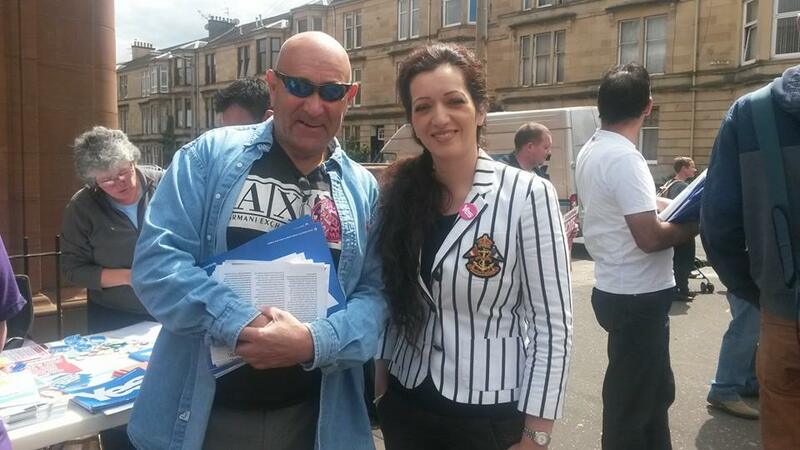 You should so check out Leven Street, where Tasmina Sheikh, Josh and I canvassed earlier today! Amazing. Best part of the day was bumping into old friends and colleagues. I was absolutely delighted to meet Professor Henry Maitles at the event and it was lovely to catch up with what is happening at the UWS campus in Ayr. It was great to see so many of us out today, even though we were fasting ( fasts are nearly 20 hours long this year too, if you are a Muslim practising Ramadan), so a big thank you for everyone who was out campaigning today. Change won’t happen by itself – we need to make it happen. When we become complicit and avert our eyes from those that need our help the most, even though we may not see ourselves as ‘the problem’, what does that as a society say about us? Scotland is a caring society – long may that continue, but let’s enhance and build our own infrastructure to care for our citizens and play our part on the world stage.